Tomoko Fujii is a Senior Research Fellow of the Australian and New Zealand Intensive Care Research Centre in the Department of Epidemiology and Preventive Medicine, Monash University. She is managing a phase II multicentre randomised controlled trial of vitamin C therapy in patients with septic shock (VITAMINS). 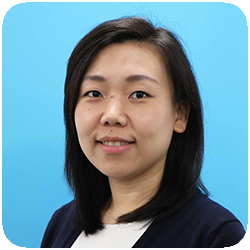 She is an intensive care specialist in Japan and is passionate about research to improve the care of patients with critical illnesses. Tomoko completed her PhD in 2019 where she examined the effects of a natriuretic peptide on acute kidney injury in critically ill patients. She regularly delivers national and international presentations. Research foci include clinical research in sepsis, acute kidney injury, and fluids.